Our knowledge extends from media preparation to the purification through the fermentation or the cell culture and all primary recovery operations. From Bench-top to industrial scale systems, single use units or control system retrofits, we will deliver comprehensive solutions, incorporating excellence in quality, services and reliability. Our clients include international biopharmaceutical and cosmetic groups, crop sciences companies, R&D laboratories, universities and start-up's. 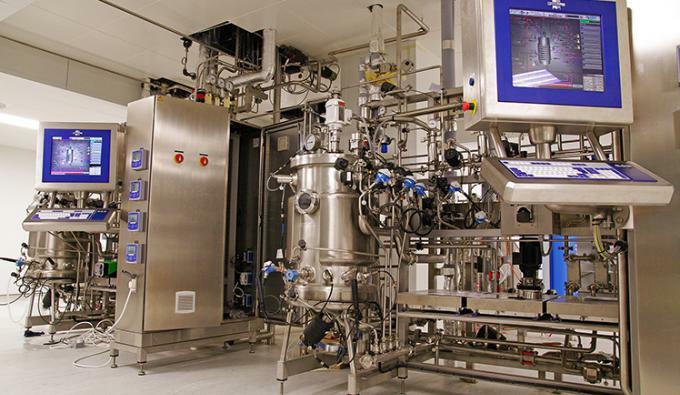 Stainless steel storage and vessels, filtration units, fermenters and bioreactors, MCD™ mixers for health care, CIP units, control systems, Pierre Guerin offers a wide-ranging solution for biopharmaceutical and personal care process.